Liverpool Pembroke Sefton star, Kirsty Longley, is having a series of remarkable runs at the age of 41. In the highly popular New Year`s Eve Ribble Valley 10K she battled winds to finish 84th overall and 7th Female behind international Laura Weightman. 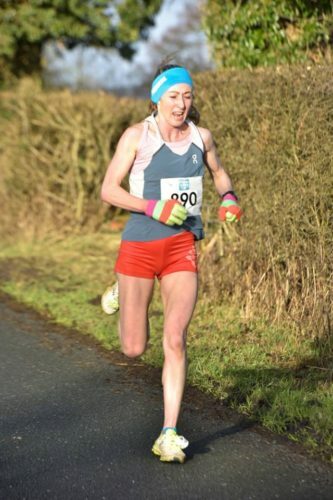 This gave her the first Over 40 prize in a time of 35.47 but better still it turned out she had collected the bronze medal in the Northern Championships that was incorporated in the race. She now turns her attention to the impending cross country championships. Also competing for the club was Junior Daniel Slater, an international Triathlete. He will be pleased with his 33.10 timing in 39th place.